With an eye on the top family-friendly radio dramas, the unique, insightful, and entertaining Audio Theatre Central brings you more than enough to satisfy your need for behind-the-scenes news. 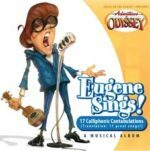 Their latest podcast reaches out to former Adventures in Odyssey voice Jave Griffin (or David Griffin, as many of you remember him). The podcast team interviews him about his upcoming audio project Edwin and the Orbs and his inspiration for starting an audio project AIO fans won’t want to miss. Of course, you can visit Mr. Griffin’s new undertaking here. Plus, Adventures in Odyssey writer and director Paul McCusker steps in to reveal some behind-the-scenes information on Focus on the Family Radio Theatre’s upcoming Oliver Twist. Releasing this September, the audio dramatization of Charles Dickens’ famous classic is about to knock the socks off of listeners. Learn more about this release at the Radio Theatre website. 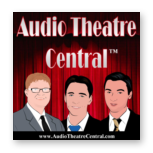 Listen to the latest edition of Audio Theatre Central here. If you enjoy behind-the-scenes insights by Odyssey’s finest, this double interview episode is sure to excite you for future projects! And when radio drama is involved, Odyssey fans get excited like nobody’s business.